This simple-to-throw-together cocktail utilizes something you may already have on hand if you're already stocked up for the holidays — jellied cranberry sauce. It gives this cocktail the perfect sweet-tart flavor and its beautiful red color. If you prefer a nonalcoholic punch, substitute cranberry juice for the Southern Comfort. Purée cranberry sauce and Southern Comfort in a blender; transfer to a large serving bowl. Stir in club soda, lime juice, and ice. 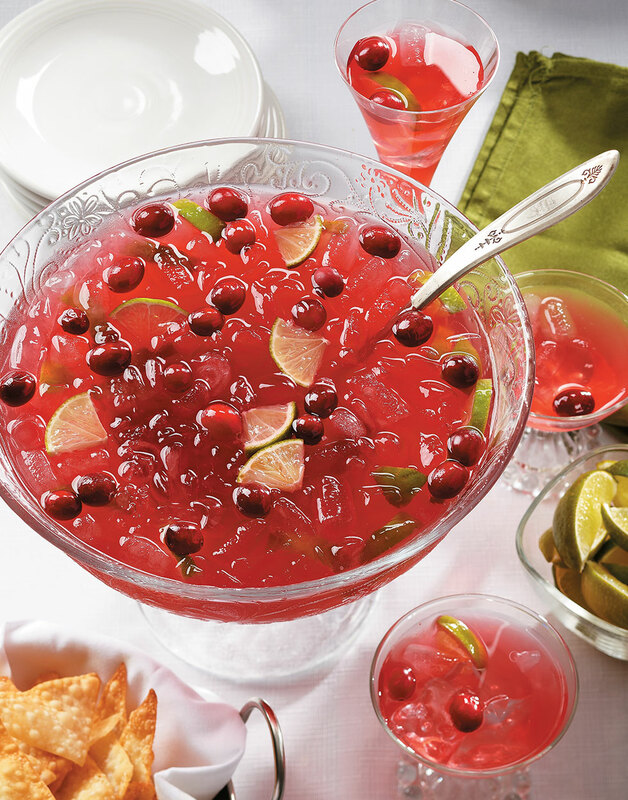 Garnish punch with cranberries and limes.